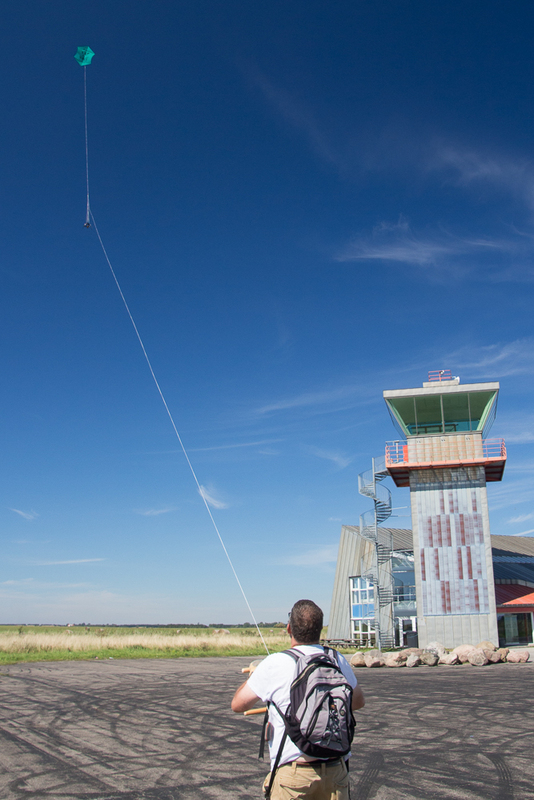 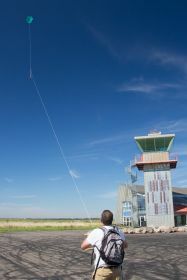 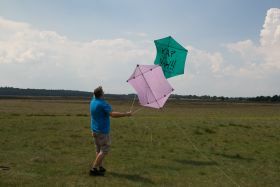 Build for stronger wind Kite Aerial Photography. 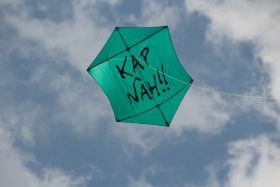 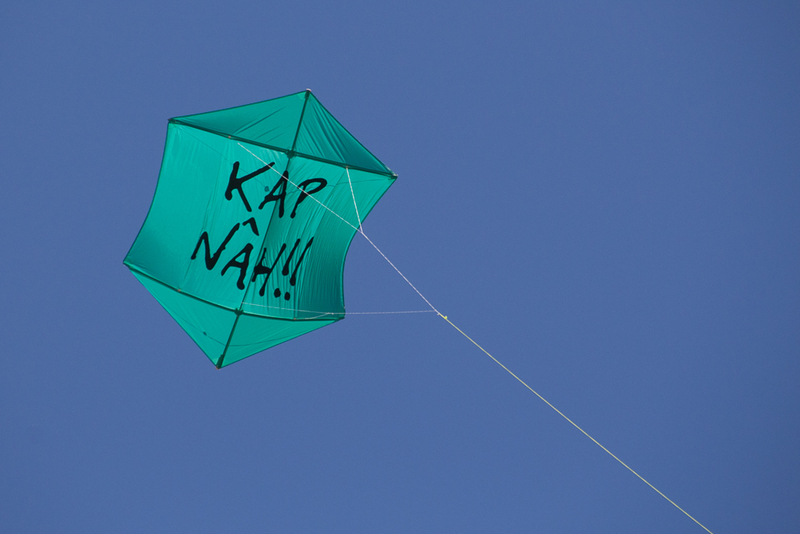 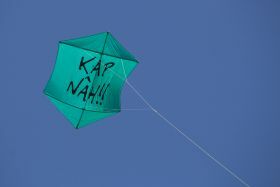 The line "KAP nah" is slang from The Hague my birthtown. 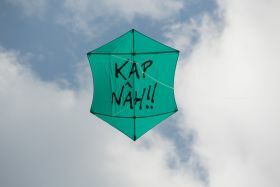 It means "Stop it now". 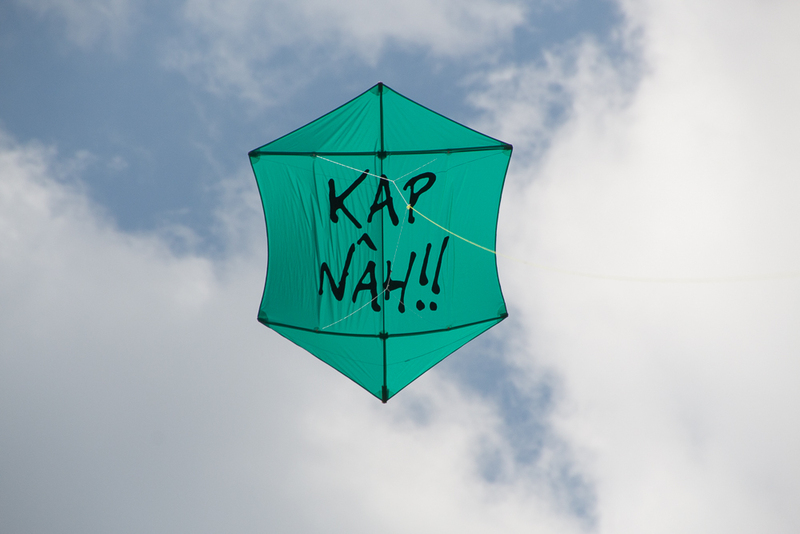 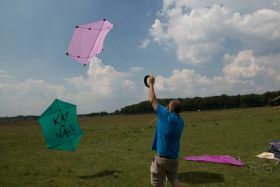 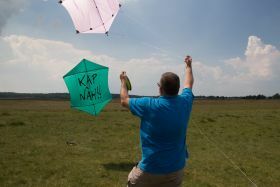 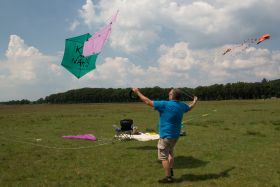 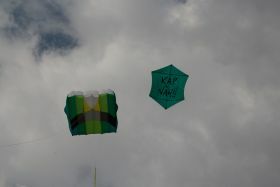 But since KAP means Kite Aerial Photography, you can also read "You mus now start KAP-ping".